Detective James Dineen and his partner John Moreland investigate a break in at the Boddingtons Brewery, but it turns out that there’s a lot more going on, including criminals exploiting homeless boys. A life is at stake, and Dineen must come face-to-face again with his arch-enemy to solve the mystery. 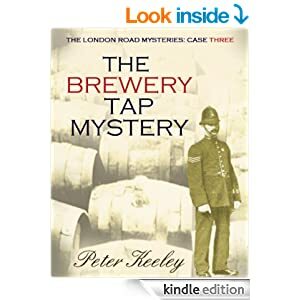 THE BREWERY TAP MYSTERY is the third of Peter Keeley's London Road mysteries. It will appeal to all fans of early 20th century detective fiction. Look out for further adventures on Amazon soon.